Throw science and your basic concept of reality out the door with Nanosaur 2. It’s the future and it looks like Dinosaurs have come back into existence. But this time, things are different. Dinosaurs are now in charge of Earth and have even designed plasma cannons and the ability to time travel. Their purpose is easy to understand, save the ancient dinosaurs. Equipping one of their own with a jetpack, armor, and weapons, it is sent back in time to collect eggs and destroy evil dinosaur machine things. Yes, the plot is stupid, but the gameplay is awesome. 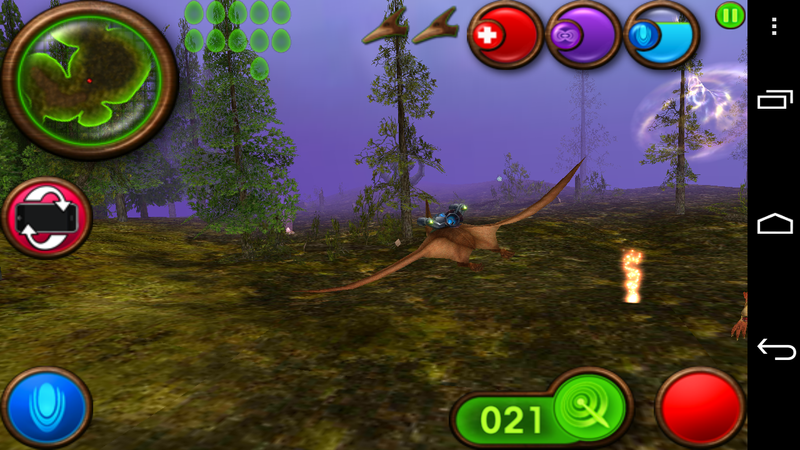 Using your phone, you swoop and dive around a huge landscape avoiding trees and other animals. Blast your way through baddies and save your race from total extinction. The game is $2, but it’s so worth it.